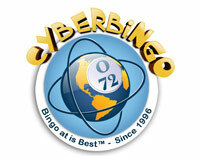 CyberBingo is an online bingo powered by Betsoft, Mobilots, Rival, Saucify and Vista Gaming owned by VistaGaming. You can play in Euro, Pound Sterling and United States Dollar. Join CyberBingo for the Easter Egg bingo celebration, you can earn up to $300 cash or up to $200 bingo bonuses. The action takes place in the Spring Bingo room, cards cost $0.50 each. Plus, if you buy 6 bingo cards, you get 3 free ones. Enjoy! Games allowed: Jr Jungle slot, bingo games. Games allowed: Bingo, Jr Jungle slot. Games allowed: Bingo games, Sugar Kisses slot. Games allowed: Bingo games, Jr Jungle slot. It's time for all the holidays events! Join the Christmas Slots Tourney every week from Friday to Sunday and you can win up to $500 cash weekly. Play the above selected holiday themed slots to qualify, enjoy and good luck! Games allowed: Daubers Christmas slot, bingo games.